A French-owned business with a distinctly British accent, it claims to bring a new model to market. It has taken four months, but Publicis Groupe’s media buying operation is finally starting to take shape. The French-owned group is famed for its labyrinthine politics, yet several Britons have come out on top in the new entity, Publicis Media, whose headquarters are in London – not Paris or New York. 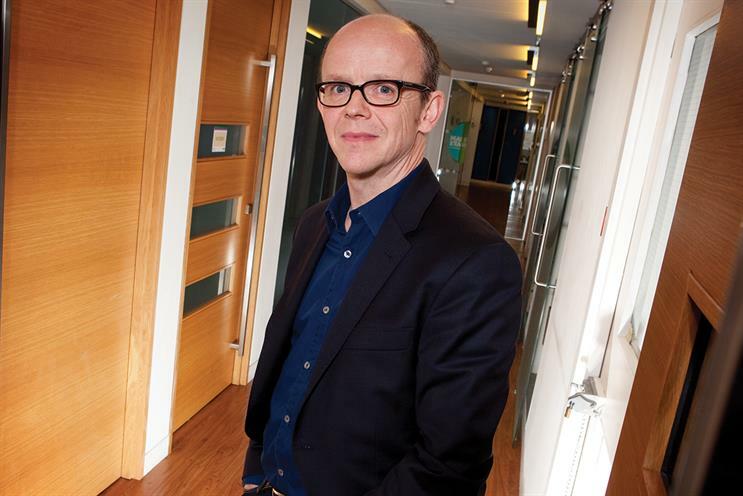 First, the ZenithOptimedia boss, Steve King, was promoted to global chief executive. Then, Iain Jacob, the head of Starcom Mediavest Group in Europe, the Middle East and Africa, got the job of EMEA chief executive. Now, Jacob has unveiled his team with all eyes on Britain, Publicis Media’s biggest EMEA market. The surprise pick for UK chief executive was Amanda Morrissey, the former general manager of WPP’s digital shop AKQA in London. Morrissey has never worked for Publicis Groupe and doesn’t have media agency experience. But she also comes without baggage, which appears to have been a factor behind the decision not to give the job to one of the UK media agency CEOs. She has experience of working with clients such as Vodafone and Mon-delez International too. "She knows how to drive transformation for clients," Jacob says. A former AKQA colleague says: "She’s made of iron." The "incredibly sporty" mother of four girls, who is based in Poole, Dorset, "looks people straight in the eye" and her team was "very loyal to her", the former colleague adds. Morrissey won’t run the UK alone: Phil Georgiadis, the chairman of Blue 449, has been promoted to UK chairman of Publicis Media. The plan is to break up two subsidiary groups, SMG and ZenithOptimedia. Instead, Publicis Media will function as a single unit overseeing four global agencies – Starcom, Mediavest Spark, Zenith and Optimedia Blue 449 – and integrate them with seven capability "practices", including buying and analytics. Jacob describes the four agencies as "gateways to the clients", which can "access" the seven practices. "It’s akin to going into McKinsey," he says. "We’re bringing a new model to the market. It’s not like a Group M, which is a holding company within a holding company and a brand in its own right – Group M pitches as Group M. We stood that on its head. We’re agency-led. Publicis Media won’t be contracting with clients. What Publicis Media will be is a unifying chassis on which you can build really strong agency brands and capability practices." Jacob also suggested that the model is better than Dentsu Aegis Network’s "one P&L" approach, where clients buy services from multiple agencies. "Fetch works to a separate P&L – whatever Aegis tells you," he claims, referring to the Dentsu Aegis mobile agency. "What happens is you end up selling capabilities instead of solutions. We’re moving from selling stuff to selling solutions." Jacob reckons the win means that Publicis Media is running Omnicom and Dentsu Aegis close for second place by UK media billings behind Group M. He won’t discuss the Asda specifics but regards it as vindication of the group strategy of integrating and simplyifying its structure. "The marketing services industry has made the market very complex and very confusing with multiple brands – often from the same holding company, often with the same capabilities," Jacob says. But simplification is easier said than done. Morrissey’s greatest challenge might not be mastering the media business but handling the internal politics.